Latest news: I put all of the a/c stuff back in! 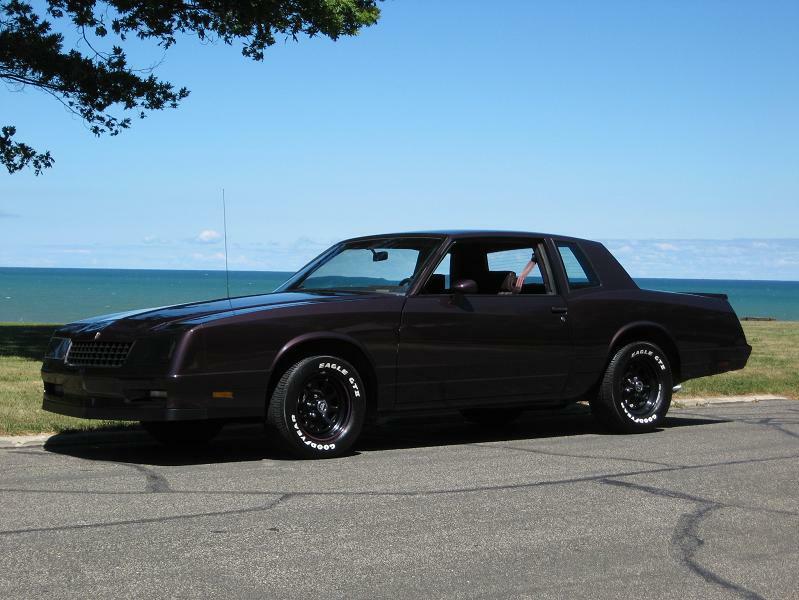 "Coolin off"
My website originally started as a single web page and an easy way to share pictures of projects on my Monte SS. Over ten years have passed since then, and it's grown to over two dozen web pages covering various Monte Carlo projects with links for each page below. 305 engine 3-97 The 305 gets some new fresh parts. Posi unit 9-97 An Auburn Pro posi unit helps to get a grip. 377 engine 3-98 Why'd they ever put a 305 in there anyway? Interior mods 7-98 Autometer gauges, B&M shifter, Grant wheel. 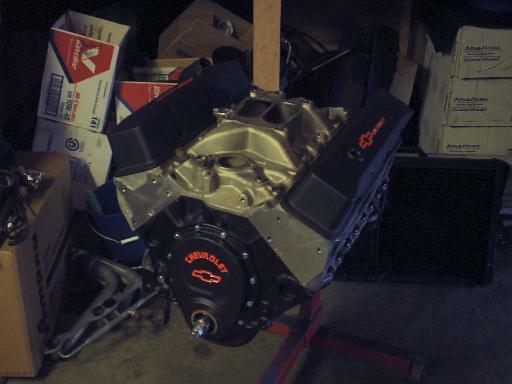 408 engine 3-99 More stroke + more cubic inches = gobs of torque. Electric fan 2-00 Why not free up some more power? Turbo 400 2-00 Uh-oh, the stock 200-4R wasn't meant to go this fast. AFR Heads 8-00 Added some smokin' cylinder heads, hang on! Cam swap #1 3-02 A new Comp Cams grind for the 408. Odds 'n' Ends 6-03 An MSD 6AL box and 2 more Autometer gauges. 408 R.I.P. 7-03 The 408 busts a rod. 383 engine 9-03 A 383 stroker for the Monte. 200-4R 7-05 Back to a 200-4R overdrive transmission. 8.5" Rear end 5-07 An upgrade to a larger, stronger rear end. A/C install 4-10 Reinstalling the air conditioning. Monte Nationals 2009 Pictures from the 2009 Monte Carlo Nationals near St. Louis. Specifications Current specifications of the 383 with picture links. 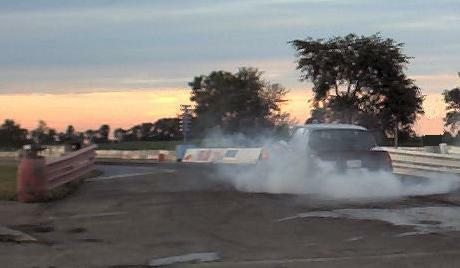 Videos A nice smoky burnout, the best garage ever, and other car vids. 1/4 mile racing 1/4 mile track times from the 305, 377, 408 and 383. Dyno graphs Dyno charts for the 383 & 408 with torque & hp. 400 Rear main 400 small block chevy rear main seal issues. Parts for sale Several GM service manuals (Helms) and an after cat Y-pipe assy that fits 4th gen Montes with a 4 bolt cat flange. Q-jet Air Valve tip A great way to make air valve tuning a breeze. Previous Vehicles Pics and comments about the 12 13 14 15 16 different vehicles I've owned. CR Calculator My own compression ratio calculator. Speedo Gears 200-4R Figure out which speedometer gears you need for that tire or rear gear swap. This website cannot be used as a floatation device. When viewing this site, you should not operate heavy machinery. Objects may be closer than they appear. Do not mix with alcohol. All characters represented herein are fictional, and any resemblance to any actual persons is unintentional. You are gearhead number One BaZiLLioN since October 27, 2008!